If you would like to schedule your first appointment or have any questions about our practice or staff, don’t hesitate to call us today at (908) 464-6789. 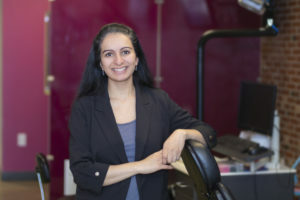 In addition to her time at Pearly Whites, Dr. Shah is also a Clinical Assistant Professor at the CTOR Orthodontic Residency program at Stevens Institute of Technology. She has also written a dental board preparation book on Biochemistry and still teaches orthodontic lectures on a regular basis. In addition to her passion for education, Dr. Shah has a deep interest in the environment and spends considerable time working on local eco-friendly initiatives in her town. She is a local NJ native and lives in Montville, NJ with her husband and two young girls.